Written by Dan Lanotte on January 20th, 2015 February 10th, 2019 . We’ve all heard or read accounts about a child shooting another person after finding and then handling [or, playing with] an improperly stored or secured firearm. No wonder just the idea of kids and guns raises strong passions in people! Perhaps your first thought is that the two definitely do not go together. In my last report I discussed the responsible gun owner with regards to keeping children safe, and now I’d like to expand on that theme. 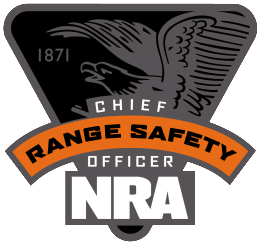 The NRA has an outstanding program of firearm safety for young children called the Eddie Eagle program. They teach “If you see a gun: STOP! Don’t Touch. Leave the Area. Tell an Adult.” This program has been successfully taught in schools across the country for years and is an excellent start for youngsters. While statistics would be impossible to compile, the Eddie Eagle program has probably saved many lives, just by making youngsters aware of the dangers of mishandling guns. But this is only the start. Just like any other area of endeavor, if you stop with just the basics and don’t take the lessons farther, no maturity of thought and proficiency will ever be reached. There is no magic age at which a child is ready to learn to handle and use firearms. I have seen 16 year olds who do not possess the requisite maturity to safely learn to use guns, and I have also known 10 year olds who successfully learn not only how to safely use firearms, but also display and practice the three NRA rules for safe gun handling: 1. Always make sure your gun is pointed in a safe direction; 2. Always keep your finger off the trigger until you are ready to shoot; and 3. 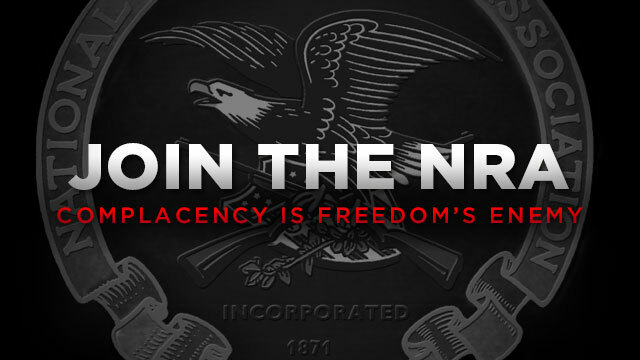 Never load your firearm until you are ready to use it. A child’s level of maturity should be evaluated by knowledgeable and responsible adults. “Knowledgeable and responsible adults” must include the parents and, in some cases, a qualified instructor experienced with training children. 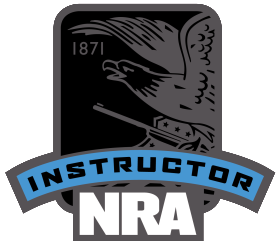 A parent well-versed in the care and use of firearms is the most effective one-on-one teacher of his or her own child. Typically children look up to and respect their parents and are more likely to listen to them when investigating this new (to them) and exciting sport. This is an excellent bonding experience that can have lasting benefits. Parents who are considering training their own children should consider getting pointers from experienced instructors on such things as how to effectively obtain sight alignment and sight picture, trigger control, breath control, hold control, and follow-through. If the young shooter gets these five fundamentals down early on, their shooting experience will only improve with practice over the years. Also, parents who understand the procedures and the value of “dry-practice” can save themselves a lot of money in ammunition as well as substantially increase the learning curve of the new shooter. When the children observe mom and/or dad dry-practicing and then notice her and/or his proficiency at the range, the value of dry-practice will be reinforced. This can be true, even if the child balks at the monotony of dry-practice. Several organizations have excellent track records when it comes to teaching youngsters. The Boy Scouts (BSA) is one of the oldest and most respected organizations teaching marksmanship skills. Thousands of young men can trace their love of shooting back to their time in the Scouts. 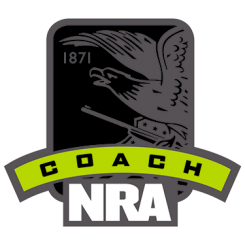 Organizations such as the National Shooting Sports Foundation (NSSF) have partnered with the BSA to advance the sport. NSSF youth programs can be viewed at http://www.nssf.org/shooting/youth/. Obviously, the National Rifle Association has many programs, too numerous to name here, to aid in the education of responsible gun use and care in young shooters. 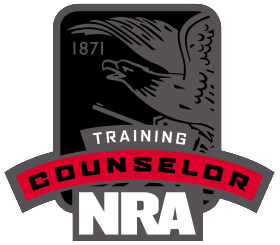 These programs can be accessed by going to the NRA website, http://youth.nra.org and scrolling down the list of programs. Another program worth mentioning is from the USA Shooting organization. USA Shooting is very involved in the Youth Olympic Shooting Sports program and takes junior shooters to various national and international competitions. Their programs can be viewed at http://www.usashooting.org/membership/youth-programs. No matter what avenue you take with your youngsters, responsible gun use, care, and ownership starts when they are, well, youngsters. When you start the children out right, they will always take those lessons into adulthood and pass them on to their own children. To recap, starting kids out with the Eddie Eagle Program or one like it will keep them safe. As they grow older, teaching them proper use and care of firearms through parental mentorship or one of the national organizations will go a long way to making them responsible gun owners. For additional information, there is an excellent article on Keep Guns Safe.com that can help with keeping your kids safe with respect to gun safety.